One grey day in early summer I found myself unexpectedly alone, so I stole a long day to go walking and exploring. The town was quiet and warm, and the air was scented with the rich musk of lilac and a soft suggestion of wisteria. Great pale purple bunches hung over the road and curved gently across the faces of old houses. The country lanes were bordered by long grasses and frothy, gentle wild flowers - cow parsley, herb Robert, buttercups. The hedge thickened around an overgrown brick step and a sturdy white iron gate, as the ground rose into the cemetery. We all have cemetery stories, ancestor tales. My maternal grandparents and great grandparents are buried in a sloping graveyard overlooking the Welsh town of Llangollen, but my Lewis ancestors were either cremated or lie in an unmarked grave in Toxteth Cemetery, Liverpool. There is a poetry in these places, the poetry of time and loss and hope, stories told in grass or written on stone pages. Far from being depressing places, cemeteries are full of wildflowers and a rich meditative silence broken only by the birds. This was a very Protestant cemetery and I saw only one Catholic crucifix on my slow walk. Carved from the local grey-brown stone, the heavy Victorian headstones were sombrely decorated with calligraphy and curlicues rather than angels, although many headstones wore small panels of spring flowers, symbolic of Easter and the Resurrection, an eternal stone garden mirroring the lush greenery in the hedgerows outside. The headstones’ crisp edges had been softened by a hundred Welsh winters, and names and dates were fading beneath lichens and mosses. As a landscape it was defined by giant yew trees, dark and gloomy, beneath which the grave plots were widely spaced, a lawn sprinkled with tombs. Gothic ironwork disappeared into thick ivy; older tombs were smothered by wild undergrowth. There were more Celtic crosses than in an English cemetery, but very few Welsh inscriptions. Yet the stories reached back through time to the landscape around the town. Older graves were often carved with the names of large houses, hill farms and town houses, places I passed daily. Bridge House, Stapleton Court, Tan House. Late of Kings Turning, read one. In this border cemetery the names were Welsh and English – Hatfield, Davies, Jones and Roberts – and I found many Thomas Lewises, my paternal great grandfather in that unmarked Liverpool grave. Many families were haunted by infant mortality, the children’s lives cut short which sadden all visitors to a nineteenth-century graveyard. But in rural Wales, the dead are part of the stories of the living and old stories fade slowly. King’s Turning is a bend in the road, a field, a footpath on the outskirts of town, named for a fleeting visit by Charles 1st, so the story goes. 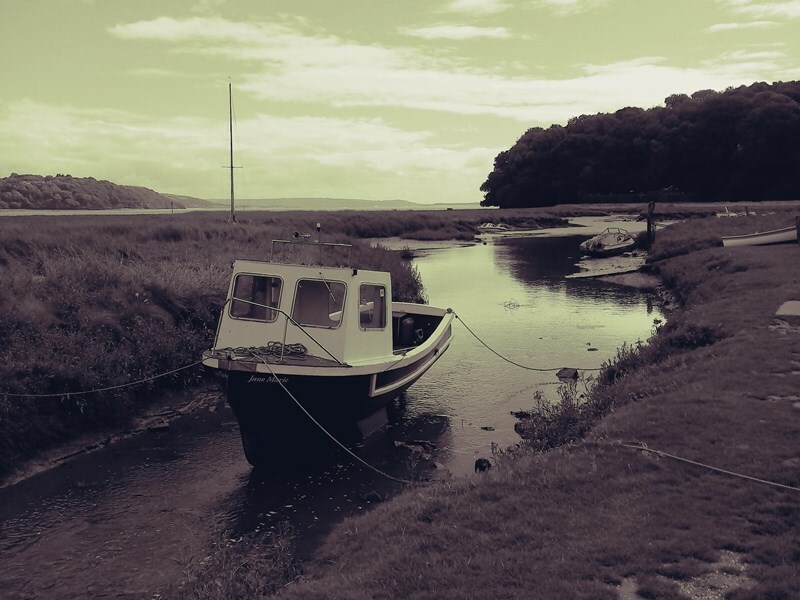 Welsh family storytelling creates a weave of story unconnected to chronological time, in which the dead are present through story and anecdote. In Wales, as in William Faulkner’s Deep South, the past isn’t dead, it’s not even the past.